Today I’m going to blow your mind with a mind-bomb. It focuses on something I hear my mom (a registered dietician for the past 27 years) talk about all the time: portion sizes. These sizes have gotten out of control! If I want to be healthier and eat smarter, the most basic way of doing this is to look at the amount I am actually eating, right? 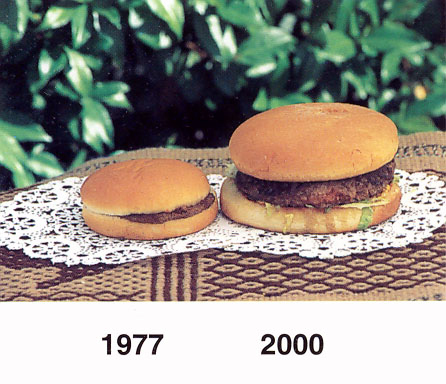 And if we can’t read this because a triple-decker cheeseburger is limiting our sight, well, we need help. 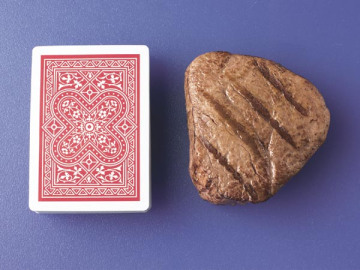 Did you know a serving of meat is supposed to be the size of a deck of cards? Neither did I.
Halloween candy is fun, right? Of course! One or two sweets a day helps your blood sugar and gives you energy. 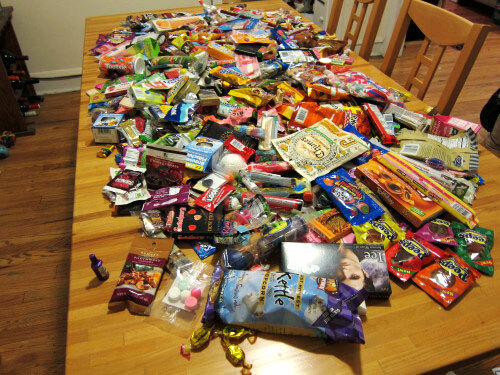 Too much, however, will leave you drooling at your kitchen table in a sugar coma. 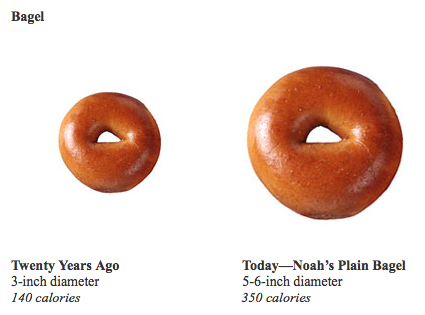 Even our healthier options, like bagels, have grown to be monsters! And let’s not forget the American body fuel known as “coffee”. 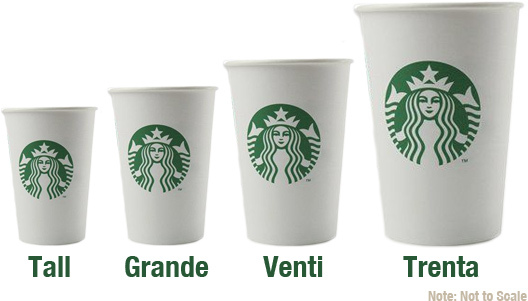 Seriously, who needs a Trenta?! So there. Did that help? I’m going to make an effort to watch my portions and not be sold on eating these enormous sizes just because I’m at a restaurant or because the food is in front of me. What food do you struggle with? 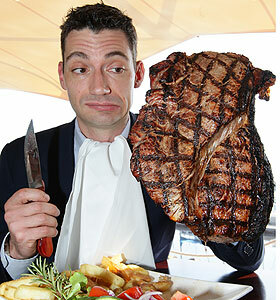 What food do you think is over-proportioned the most? Let me know here or @HolyHappyHealth! Where Was God at Sandy Hook Elementary? Enter your email address to join our journey towards total health.